We are five months into 2018. And nearly every day so far this year has seen the DEA execute at leastone search warrant against a doctor’s office, pain management clinic, or pharmacy. With more days ahead of us than behind, it’s likely that we’ll see hundreds of additional raids on health care providers before the year is over. If you work in the health care industry, you’ve probably already imagined the terrifying ordeal in your worst nightmares: the patient who turns out to be an addict or an informant; the opioid prescription you wrote in good faith but which later gets linked to a death or a crime; the busy month in the office when your recordkeeping wasn’t all that it should have been and now looks suspicious to the eyes of an agent, and so on. Those concerns aren’t unjustified, nor are they wild fantasies. Any health care professional who is in the business of writing or filling opioid prescriptions should be actively preparing for DEA search warrants, which can arrive at any moment and bring your business to an abrupt and terrifying halt. Worse still, if the investigations go too far (as they so often do), they can lead to serious civil and criminal penalties, including the loss of your DEA registration or your medical license, impossible fines, asset forfeiture, and even prison. Even if you’ve never encountered the DEA, you should know what their agents are looking for, how DEA search warrants work, and how to respond should agents ever turn up at your office. We’ll explore those issues in this article. If you have already come under investigation, been targeted in a warrant or raid, or accused of drug diversion or any other drug-related crime, you should contact an experienced physician defense attorney at Oberheiden, P.C. immediately. What Is the DEA Looking for When It Gets a Search Warrant? From a distance, a legitimate opioid description looks a lot like an unlawful one. To distinguish them, the DEA and other federal agencies look for “red flags” of drug trafficking, drug diversion, or other improper prescription behaviors within medical clinics. The DEA may have already observed some of these “red flags” prior to the raid on your office. Indeed, red flag evidence might be the very basis for the agency’s probable cause argument. Alternatively, the government might be searching your office to find evidence in their case against someone else. But even then, it is not uncommon for the agents to expand their investigation to include you within it after finding something “of interest” in your clinic. During a raid, agents will look for any records or physical evidence that might point to suspicious or unusual patterns in your office. They will also hope to corner your employees in a moment of surprise, taking recorded or sworn statements that might be hastily worded but which may nevertheless be used against you later. Of course, most of these “red flag” behaviors are not illegal on their own, and there may be perfectly good explanations for any number of them. An experienced physician defense attorney can fight against unfair, exaggerated, or presumptuous accusations so that your patient care isn’t taken out of context. Immediately upon learning of an active DEA investigation concerning your practice, it is in your best interest to contact an experienced health care criminal defense law firm. The DEA search warrant is only the beginning. It is also an opportunity to stop the case before it develops into a full-blown criminal charge. At Oberheiden, P.C., we believe in a proactive approach. 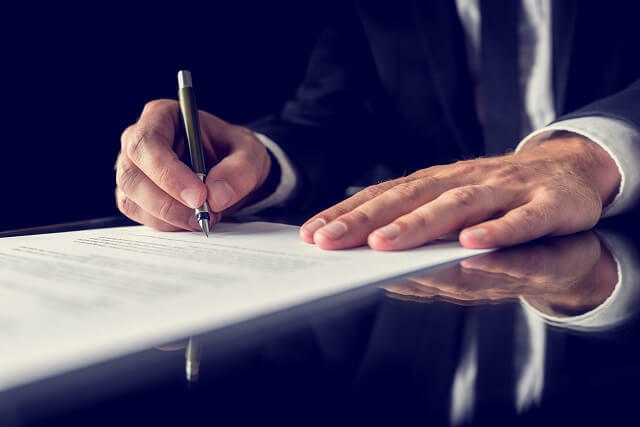 In many cases, we work directly with the prosecuting attorney and the law enforcement agents in order to negotiate an optimal outcome for you and your business. While we do refer to ourselves as defense attorneys, we know there is so much more that we can do to advance your best legal interests beforeyou are backed into a defensive posture. Instead, we go on the offensive, fighting aggressively to end the investigation, get the charges dropped, protect your license, save your business, and clear your good name. The best response to a DEA search warrant is a prompt, urgent, strategic, and aggressive one. That’s why you should contact an experienced physician defense lawyer right away. If you have been served with a DEA warrant or a request for information – or if you are under investigation by any government agency in connection with drug diversion, Medicare fraud, or any other health care criminal offense – please contact Oberheiden, P.C.right away. Our attorneys have a years-long record of helping doctors, nurses, pharmacists, and business professionals avoid drug charges. We work hard to bring DEA investigations to an end. Time matters. Call a physician defense lawyer at Oberheiden, P.C. right away. This information has been prepared for informational purposes only and does not constitute legal advice. This information may constitute attorney advertising in some jurisdictions. Merely reading this information does not create an attorney-client relationship. Prior results do not guarantee similar outcomes in the future. Oberheiden, P.C. is a Texas firm with its headquarters in Dallas. Mr. Oberheiden limits his practice to federal law.